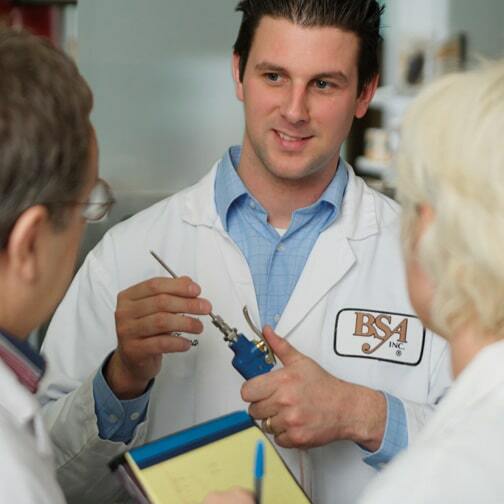 BSA is more than a supplier of ingredients. It also offers its know-how! We share our knowledge with our clients through customized training. Whether you need training for meat products (French delicatessen) or prepared meals, a technician can come to you free of charge to offer a personalized demonstration. We can help you optimize a process to develop a new product or accompany you during the start-up of a new equipment. BSA has always known that the processing of products increases profitability. That is why we encourage our clients to use our services in order to increase their profit while reducing their loss. Are you interested? Please contact one of our technicians!